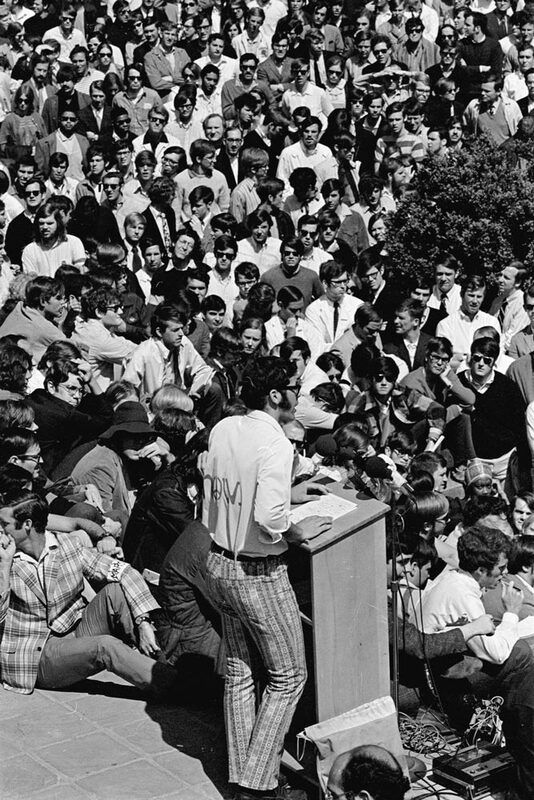 For one intense moment, the antiwar fervor of the 1960s converged on Carr’s Hill at the University of Virginia. 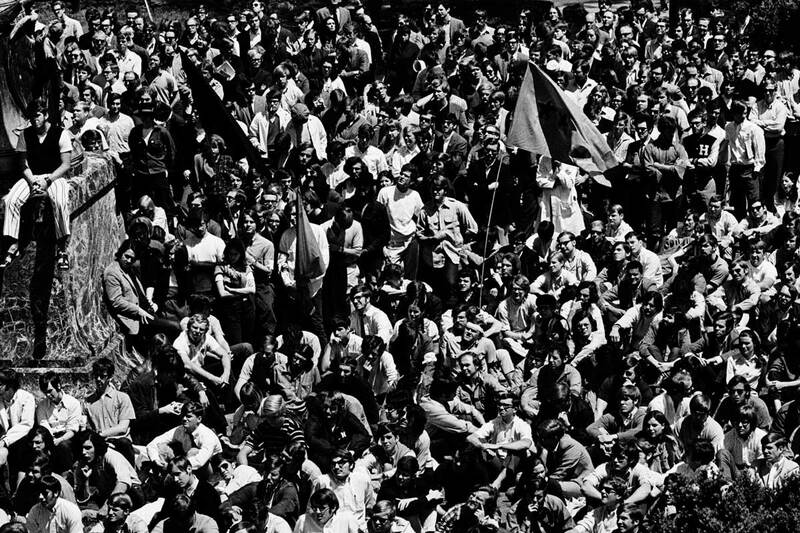 It was Wednesday, May 6, 1970, and a movement to shut down the University was about to boil over. During that tumultuous week remembered as May Days, many classes were canceled, antiwar rallies swelled to the thousands, protesters occupied the Navy ROTC building, student marshals stood sentry against arson around the Academical Village, and billy club–wielding police stormed the Lawn and some fraternity houses, hauling dozens of fleeing students to jail. Through it all, Edgar Shannon walked a high wire: angering the governor, his board and many alumni by siding with the students against the war, but never bending in his determination to keep the University open. Student activism had been building at the University, slowly, for years. It began alongside African Americans in the fight for civil rights in Charlottesville, in Virginia’s rural Southside, and in the Deep South with Martin Luther King Jr. and John Lewis. Later, activists and traditionalist students rebelled against rules that restricted their social lives, and made common cause to displace generations of fraternity control of student politics. But nothing catalyzed the student movement like the war in Vietnam. At UVA and hundreds of other college campuses around the country, massive student protests erupted in response to President Richard Nixon’s announcement on April 30, 1970, that U.S. troops were moving into Cambodia, widening the war he had promised to end. This is the story of the gathering 1960s antiwar movement at the University, as recalled by some who were there, and its climax in the May Days crisis. 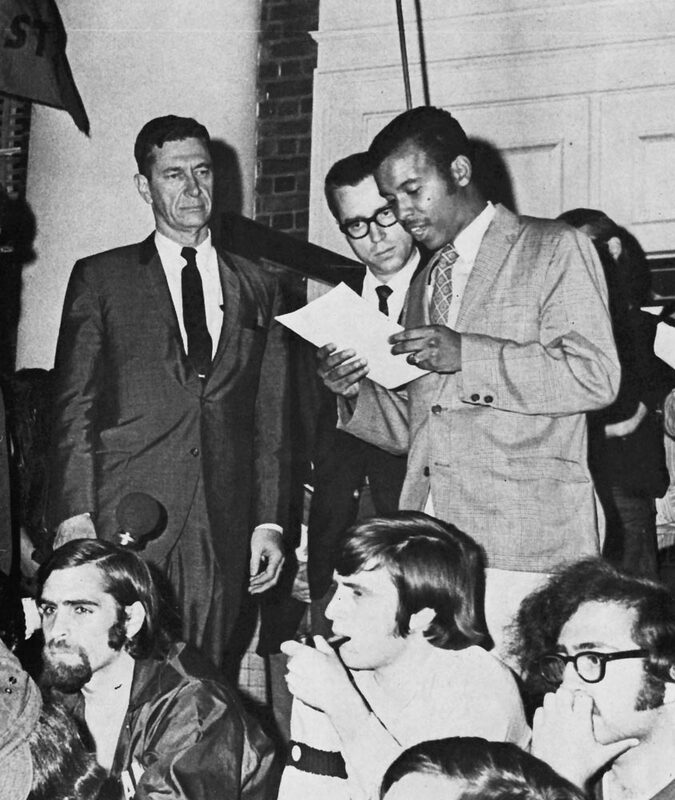 In the 1960s, national events disrupted norms throughout American society—and at UVA. In 1966, the Vietnam War was escalating, with the draft taking almost 400,000 young American men that year. But antiwar sentiment was scant at UVA. That February, in the first demonstration against the war at the University, 23 students stood vigil on the steps of Alderman Library. According to the Cavalier Daily, they were jeered and pelted with snowballs. Antiwar activism grew on Grounds. 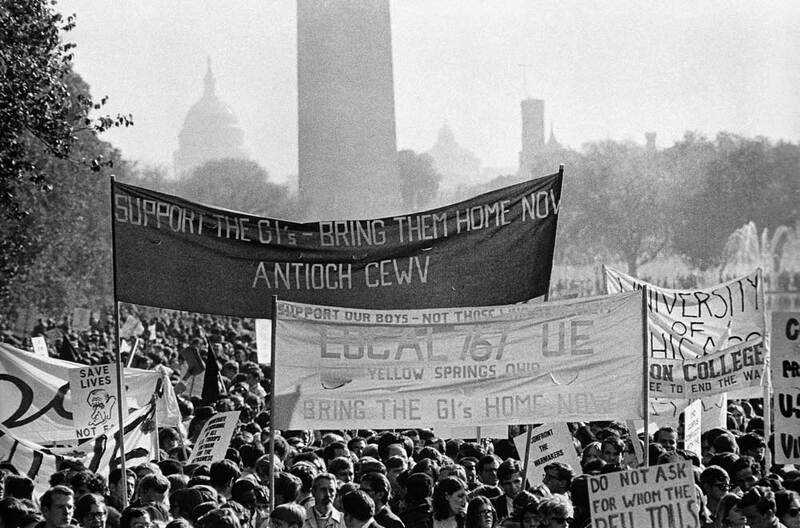 In 1967, two busloads of UVA students traveled to Washington, D.C., for a march on the Pentagon coordinated by the National Mobilization Committee to End the War in Vietnam. “The Mobe,” as it was known, connected antiwar activists on campuses around the country with one another—a network that grew in influence. In 1968, national events disturbed and disrupted norms throughout American society. That January, the temporary success of the massive North Vietnamese and Viet Cong Tet Offensive showed that the U.S. war effort was not invincible, despite more than half a million American troops deployed. In April, an assassin murdered Dr. King. In June, another killed antiwar presidential candidate Robert F. Kennedy. TV viewers were shocked in August to see Chicago police brutalize protesters at the Democratic National Convention. That violence would play into May Days two years later, as the threatening march on Carr’s Hill was directly instigated by speeches by one of the Chicago protest leaders, Jerry Rubin, and by Kunstler, who defended Rubin and the other radical organizers in a courtroom circus famous as the trial of the Chicago Seven. The more militant activist students had meanwhile unified as the Radical Student Union, and they heated up the issue of segregation reform early in 1969. Protesting on the Lawn outside the Board of Visitors meeting on Feb. 15, about 150 students called for the board to be remade to reflect the makeup of Virginia by race, gender and income level. Pointedly, they demanded the ouster of board member C. Stuart Wheatley (Law ’30), who as a state legislator had supported the state’s racist policy of Massive Resistance to school integration. In his Virginia Commonwealth University master’s thesis on the growth of the New Left at UVA, Thomas M. Hanna (Col ’34) notes that some moderates reacted immediately to support the radicals’ demands but not their style. A consensus was forming. Rosen was thinking in particular about Tom Gardner, who had just returned to the University, having left in 1967 to work across the South for civil rights and against the draft and the Vietnam War. In his book Struggle for a Better South, historian Gregg Michel (Grad ’89, ’99) describes how Gardner and his Southern Student Organizing Committee partners were roughed up and banned from campuses—but also spread their message, by means including an interview on Larry King’s radio show. 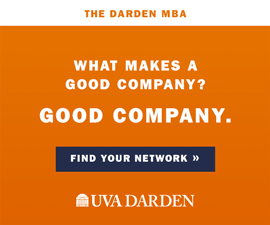 In a sign of the UVA-led organization’s standing in the antiwar movement, Gardner had been a member of a delegation that met in communist Czechoslovakia with representatives of the Viet Cong, the enemy American troops were fighting. The Student Coalition presented 11 demands to President Shannon, including those of the Radical Student Union, but also calling for an increase in black enrollment, an African-American assistant dean of admissions, a Black Studies program and allowing University workers to unionize. After caravanning to Richmond, a delegation met with Gov. Mills Godwin—himself a 1940 Law alum—who was dismissive. Rosen gave a speech on the Capitol steps, warning that the University was not immune to the disruptions roiling other colleges. Capitalizing on the broad-based appeal of the Coat and Tie Rebellion, the more radical activists formed the Virginia Progressive Party for the next Student Council election. “We realized that we could take over student government through democratic elections,” Tom Gardner says. He took a seat that fall on a radicalized Student Council that would give the legitimacy of elected student government to an expanded list of demands during the May Days crisis the following spring. The YAF made itself felt in the fall of 1969. At colleges around the country, “the Mobe” network, including UVA’s Radical Student Union, promoted a National Vietnam Moratorium on Oct. 15—a one-day pause from classes and work to join demonstrations against the war. By then, more than 300 faculty members had signed a petition against the war, notes Hanna, and they and the Student Council pressed Shannon to declare the moratorium. The YAF threatened to sue. People were free to observe the moratorium, Kwapisz argued, but the University had an obligation to remain open for those who did not. Shannon did not officially close the University, but many classes were canceled, and many students and faculty participated in demonstrations and debates—including one in which Kwapisz faced Tom Gardner. “We stopped it that time,” Kwapisz recalls. But a rally against the war at the Rotunda drew more than 1,000 people, and the disruption foreshadowed the upheaval to come. At about that time, to raise money for the Virginia Progressive Party, Jeff Kirsch booked Kunstler, the radical attorney, to speak at UVA months later, on May 6, 1970. He had no idea what was coming. “I booked a classroom,” he says. As the dogwoods bloomed on Grounds in spring 1970, American troop levels in Vietnam were dropping, falling below 400,000 from the peak of 536,000 two years earlier. Casualties were down from the high of 16,592 killed in 1968. The draft was declining but would still take more than 160,000 young men that year. So when President Nixon announced on April 30 that U.S. troops were entering Cambodia, widening the war to root out Viet Cong sanctuaries and supply lines, a wave of protests engulfed campuses across the country. At UVA, activists and moderates met on Sunday, May 3, and agreed on a walkout on Tuesday and a strike on Wednesday. The May Days crisis had begun. 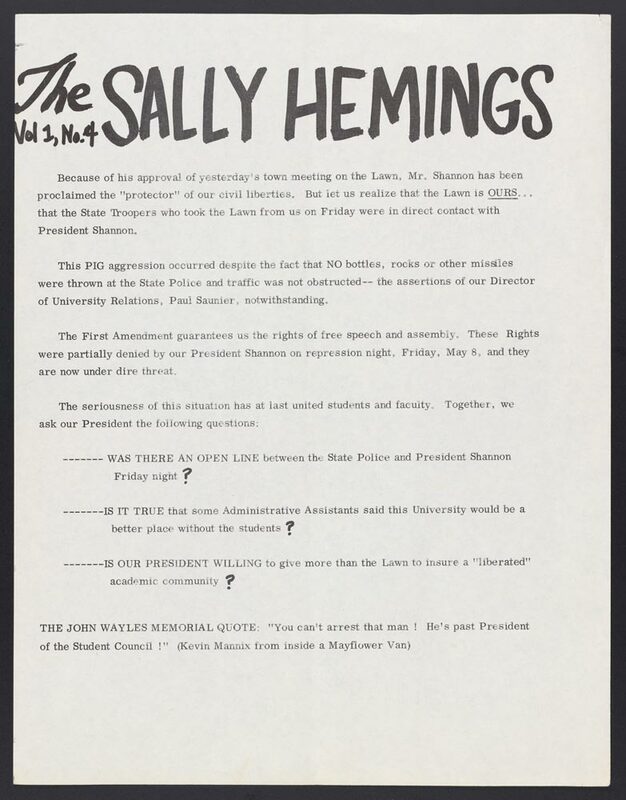 On May 5, 1970, students presented President Shannon a list of demands. He demurred. The next day, Monday, May 4, the stakes exploded with a volley of rifle fire in Ohio. At Kent State University, National Guard troops, sent to quell violence after the ROTC building had been burned the night before, opened fire on demonstrators and killed four students. Nationwide, protests and rage spiked as the news spread. At the University, a rally at the Rotunda that night drew more than 1,500 people, hundreds of whom marched to Carr’s Hill to demand that Shannon sign their telegram of protest to Nixon. He spoke to them from the steps of his home but said only that he shared their concern. Marchers then turned to Maury Hall, UVA’s Naval ROTC building. As some negotiated with moderate student leaders at the door, promising nonviolence, others broke into the building from the back. Hundreds of protesters poured inside, refusing to leave. Strike leaders began to compose a list of demands, such as banishing ROTC from the University. Later that day, Tuesday, 900 students packed Old Cabell Hall for a memorial service for the slain Kent State students, led by Shannon and Roebuck, the Student Council president. 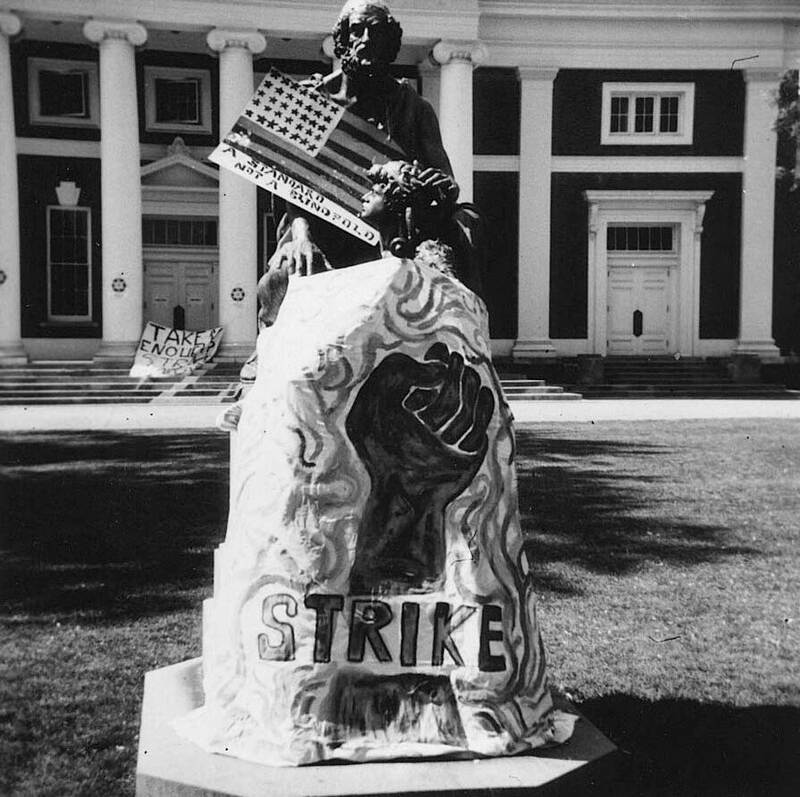 As students arrived and departed, activists passed out black armbands, antiwar literature and a mimeographed “strike newspaper” called The Sally Hemings, urging students to abandon formal classes and join “teach-ins” on free speech, women’s liberation, organizing for peace and other issues. From strike headquarters at 50 East Lawn, they also promoted the next day’s speech by Kunstler and Rubin—not in a classroom now, but in the basketball arena, University Hall. A Strike Committee of activists, overlapping with the Student Council, planned further demonstrations, called for a general shutdown of classes, and further developed the list of demands begun in Maury Hall the night before. These included revoking the Maury Hall court order, disarming UVA police, and keeping non-University police off Grounds, plus what had become standard on striking campuses across the country: ending all defense-related research at the University and breaking ties with the ROTC. But they also linked back to the Radical Student Union and Coat and Tie Rebellion demands of the previous fall, calling for a goal of 20 percent black enrollment, plus admission of women on equal terms with men. The list was put to a Student Council vote to legitimize the demands. “The vote was 10-10, and I broke the tie,” Roebuck says. In coat and tie, he stood with Shannon on the steps of Alderman Library and read the list aloud, along with the demand that Shannon join other college presidents in signing a telegram denouncing the expansion of the war into Cambodia. Again, Shannon demurred, sympathetically. Wednesday was declared Freedom Day. Official class attendance dwindled, though the outdoor teach-ins remained. Picketing and peace vigils continued, and another rally at the Rotunda drew a crowd of more than 3,000, according to Hanna. Not all was politics and protest. Frisbees flew. Rock and folk music, live and recorded, was essential entertainment. Like revolution, the aroma of marijuana was in the balmy spring air. The tension mounted in anticipation of the speech that night by Kunstler, who would be joined by Jerry Rubin, then part of an anarchist revolutionary group called the Yippies. At a time when the total undergraduate and graduate enrollment at the University was just under 10,000, more than 9,000 people filled U-Hall. Many came from other schools and communities. While the crowd waited for the speakers, one contemporary account says, they were amused by live rock bands, “a spectacular indoor Frisbee match,” and a giant, inflated banana being batted like a beach ball around the room. But things turned serious when Kunstler and Rubin took the microphone. Joel Gardner describes the crowd as wearing denim and work shirts, some waving Viet Cong flags—a vivid contrast to the coat-and-tie order he had seen there at the Honor convocation the year he arrived. Clenched fist held high, Kunstler called for shutting down the University to stop the war. 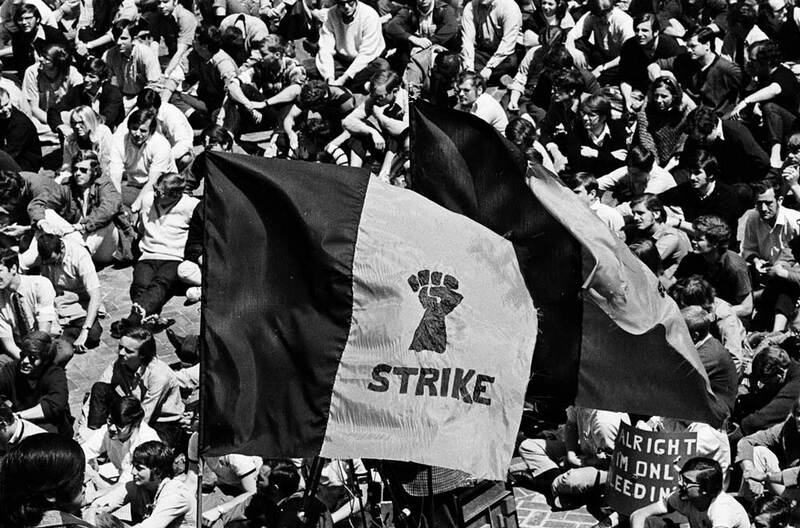 “We’ve got to liberate the places in which we have the power—the campuses,” he said, according to May Days: Crisis in Confrontation, a pictorial collection published later that year. Virginius Dabney’s Mr. Jefferson’s University highlights these words from Kunstler: “These fists have to be clenched, and they have to be in the air. When they’re opened, we hope it’s in friendship, not around the trigger guard of a rifle. But if we’re not listened to, or if the issue is forced, they may well open around trigger guards.” Rubin followed with a rambling revolutionary tirade. Kirsch, who was emcee of the event as president of the sponsoring Virginia Progressive Party, remembers what alarmed him. “Kunstler and Rubin started talking about how we should ‘liberate’ the president’s house,” he says. As a responsive crowd formed to march on Carr’s Hill, Kirsch hurried to get there first, knocked on the door and told Shannon what was coming. And to the ROTC building they went, occupying it again and declaring it “Freedom Hall.” A photo from that night shows a scorched mattress that had been dragged from the building’s basement, possibly a remnant of an attempt to follow through on the cries of “Burn it down.” The smoke, however, eventually forced the protesters to abandon the building. The threat of arson may have been uncertain, but the fear was real. As at Kent State, buildings had been burned or trashed at some of the hundreds of campuses where students were by then protesting. After the confrontation at Carr’s Hill, volunteer marshals took up watchful posts all over Grounds. In his novel A Southern Girl, John Warley (Law ’70) includes a scene taken from that night, when he was stationed at one end of Old Cabell Hall. Some of the alarms were just rumors. But others were real. Hogshire was on the walkie-talkie network during the Carr’s Hill standoff, having mobilized the marshals who blocked the door when it became clear that Kunstler and Rubin’s call to “liberate” the president’s house was going to be trouble. The next day, Thursday, demonstrations continued, including a mass meeting of 1,000 students on the Lawn. The YAF pressed its demand for a student referendum on the proposed strike and on the demands listed by the Strike Committee and Student Council. A vote was set for Monday. That night, protesters assembled at the intersection of Rugby Road and University Avenue for a “honk-in”—urging drivers to honk their horns in support of the strike and against the war. As the crowd grew, it flowed toward Emmet Street and Route 250, increasingly disrupting traffic, until state police with billy clubs herded the crowd back toward Grounds. But it was only a mild rehearsal for the following night. When Friday’s “honk-for-peace” demonstration again flowed toward Emmet and Route 250, more than 200 helmet-clad state police officers were waiting. And they didn’t wait long. Declaring the assembly a violation of the Virginia Riot Control Act—passed in 1968 as an anti-protest measure—the police told University administrators to tell the demonstrators to disperse. When that failed, the police charged. As the police pursued demonstrators up Rugby Road and even onto the Lawn, Clement’s room on the West Lawn quickly became a shelter—for people he didn’t know. He recalls seeing police pulling people out of rooms by their legs. They made 68 arrests, almost indiscriminately hauling protesters, student marshals, bystanders, a man delivering pizza, even tuxedo-clad fraternity members and their dates, into a pre-positioned Mayflower moving van. As far as Tom Gardner and other activists were concerned, as Saturday arrived, Grounds were now occupied by the police. As part of a national student protest against President Nixon's widening the Vietnam War into Cambodia, activists at the University call for a strike on Wednesday. National Guard troops kill 4 students at Kent State University. A rally at the Rotunda draws 1,500 students. Many march to Carr’s Hill to demand that President Edgar Shannon sign their telegram of protest to Nixon. Shannon says he shares their concern but does not sign. Hundreds occupy Maury Hall, UVA’s Naval ROTC building, leaving only under court order. 900 pack Old Cabell Hall for a memorial service for the Kent State students. A Strike Committee calls for a shutdown of classes. Student Council President Jim Roebuck presents Shannon a list of demands, including banning ROTC from UVA. Shannon again demurs. Class attendance dwindles; picketing and vigils continue. 9,000 people fill U-Hall to hear radical attorney William Kunstler and Yippie Jerry Rubin. Kunstler calls for shutting down the University and both talk about “liberating” Carr’s Hill; thousands march there. Some student leaders race ahead and warn Shannon. After a tense confrontation, the crowd moves to Maury Hall, occupying it again. Demonstrations continue, including 1,000 students on the Lawn. A “honk-for-peace” rally at Rugby Road and University Avenue spreads toward Emmet Street and Route 250, disrupting traffic. State police herd the crowd. Another “honk-in” begins; state police declare it a riot. When demonstrators don’t disperse, 200 officers charge up Rugby Road and onto the Lawn, making 68 arrests, hauling protesters, bystanders and others into a Mayflower van waiting nearby. Shannon addresses more than 4,000 on the Lawn, declaring his opposition to the war but not relenting on keeping the University open. He invites students and faculty to sign the letter he is sending to Virginia’s U.S. senators, in which he criticizes the administration’s response to the Kent State killings and decries attacks on universities, students and the press. Roebuck and 100 others take Shannon’s letter, with more than 5,000 signatures, to Washington. In a referendum at the University, students approve the strike 2:1 but reject banning ROTC. 2,000 rally peacefully on the Lawn, as the energy of the strike dissipates. Shannon says classes have returned to normal, though the semester is effectively over. Students have been offered options for finishing work disrupted by the strike: accepting grades as of May 1, taking exams normally, or completing work in the fall. Students and faculty defend Shannon against criticism from the governor, newspapers and others. He shared the text of a letter he was sending to Virginia’s two U.S. senators, in which he expressed grave concern over anti-intellectualism and growing militarism, criticized the Nixon administration’s response to the Kent State killings, and decried government leaders’ attacks on universities, students and the free press. He invited students and faculty to sign the letter and made copies available at Pavilion VIII. By the next day, Monday, May 11, the letter had nearly 5,000 signatures, and Roebuck led a delegation of 100 students to Washington, D.C., to present it to Sens. Harry F. Byrd Jr. and William Spong. Byrd especially, he says, was cold to the criticism of Nixon and the war. Also on Monday, those who voted in the referendum approved the strike by a 2-1 ratio, and supported most of the demands for change—but not the demands to oust the ROTC programs and halt all defense research. On the Lawn that night, 2,000 students rallied, but the event was calm. A student rock band played from the base of the Rotunda steps. As the narrative in the May Days photo book put it: “The mass of people sat transfixed, content to gaze the stars.” With the strike vote won and with Shannon publicly calling for ending the war, the angry energy of the strike was dissipating. Roebuck, now a state legislator in Pennsylvania, agrees. “Shannon channeled the anger and frustration into a positive resolution, rather than escalation,” he says. The disruption was minimal: 1,974 students graduated on schedule. At Final Exercises, thousands of appreciative parents, students and faculty surged to their feet when Shannon rose to speak. He accepted a hero’s ovation. Ernie Gates is a writer and editor based in Williamsburg, Virginia. 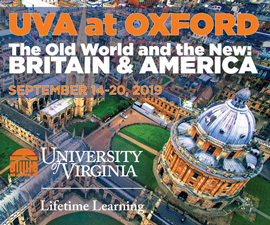 I entered UVA the Fall of 1970. I was the first in my extended family to go to college, with the family having been from the coal mining “hollers” of West Virginia. Along with a few friends, we went to Washington for the last of the big anti-war demonstrations, on a bus the fall of 1970. I found the policemen there very friendly to us (though a bit later there was another march that was more violent, see below). The march, as I recall, was special because we saw the last performance of Peter Paul and Mary for a while, plus Country Joe and the Fish, on the steps of the Capital. But especially memorable was that the lawn of the US Capital was totally clean when we all left – not litter anywhere. I did find it interesting that I went back to D.C. in 1971, with two very young girls, for the July 4th fireworks. People set off firecrackers near the police, and they rode on horseback around the Washington monument, sweeping and dispersing everyone who was there for the fireworks display. I had a three year old on my shoulders, and tried to get through the police mounted line. He said no. So I went a couple of horses down the line, and he politely let me through the line. Though an anti-Vietnam protestor, I never understood the way we treated the Vietnam vets. My son retired as a Captain in the Army, and I was extremely proud of him. Most of the photographs of the anti-war demonstrations of 1970 are those I did as university photographer, the only staffer on assignment at that time. Many years went by before it occurred to me their is not one uniformed police officer or police car in any of my photographs. A morning prayer, Bible reading, and pledge to the Flag had been taken out of public schools just one decade before. Today we have the sick society predicted and the liberals don’t like to get down to the real reason. I was present as a student at the University during these activities, but was somewhat unaware of the details, learning of most of them only after the events. I was not involved in any of the demonstrations, much like many others in the Engineering School. Our location across Emmett Street may have provided some isolation from the activities centered around the Lawn. I remember seeing some gatherings and noted that the dress was more casual than what had been the norm; none of the coat-and-tie dress referred to in the article. I think that the anti-war activities were the major cause for the change of the outward appearance of the students at UVA. The Engineering School classes continued and we finished classes and took exams as normal. My roommate was not given that option on one College class he was taking and had to take the exam the next fall, a situation he felt caused him a disadvantage. I can understand the dismay of the students at actions taken about the war, but it disappoints me that such actions as “burn it down” would be considered at any University building, especially a residence, as if it could affect the war effort. I think President Shannon handled this complex, volatile situation about as well and with as much dignity as was possible.It might he noted that he was a decorated combat veteran of WWII (Bronze Star) and as a junior gunnery officer on cruiser USS Quincy, survived, wounded, after 20 hours in the water, his ship’s sinking and the disastrous American defeat of the Battle Savo Island. You probably are going to have a cooler perspective on things after that. Regardless of one’s politics, labeling Edgar Shannon “gutless” for protecting the University, its students and reputation in the turbulent days following Kent State is simply ignorant. An accurate reflection of the period was provided by the somewhat conservative Virginius Dabney in his 1988 book “Mr Jefferson’s University: A History.” I’d also highly recommend anyone with interest in the period stop by Alderman to browse the photojournalism book “May Days, Crisis in Confrontation,” put together by Rob Buford and Peter Shea. Used copies can be found online from time to time. The photos in the article pale in comparison, and far greater detail is provided in the book. Protests did not end in May of ‘70. The intersection of 250 and 29 was once again taken for several hours in the Spring of ‘72 following the mining of Haiphong harbor. Students were met by the same reception from State Police and armored riot trucks. I,too, was a fourth yearman who graduated in 1970. I will never forget those last weeks prior to graduation and was never prouder to the way The University responded to the Kent State shootings. Having Kunstler/Rubin to speak during that volatile period was incredible and showed tremendous confidence in the student body. During the time period of 1966- 70, UVa became much more socially aware, finally breaking away from the the white frat boy, coat and tie, mentality which had persisted for way too long. All of my professors cancelled classes and exams as there were greater lessons to be learned. Their support was greatly appreciated. At graduation, there was a small group who did not wear their cap and gown in continuing protest against the Vietnam War. I think Jefferson would have been proud as well. Ms. Davenport: Mob mentality? Hardly. The overwhelming majority of the student demonstrators were loud but peaceful. That’s why there was so little physical damage to University property. That was a terrible time on all levels. Yes, there were outside agitators. The SDS would set up stands and talk with students who were ill-prepared to debate the SDS who had every argument planned for with a well-crafted, ready response. The SDS would call for burning down the UVA buildings. I was horrified! It was a time when UVA students, who I normally praise as being rational and discerning, fell into mob mentality. I don’t appreciate having this review of the ugly past. Mr Weinstein… to even imply that Mr. Ridenhour marched with the Nazis is just wrong, inflammatory and STUPID! Mr. Ridenhour may honestly disagree with the politics of that era, but not with the protesters’ motives. The outrage, particularly right after the Kent State University murders, was as far from “false” as humanly possible. Speaking of “outside agitators” how about the Nazis who illegally invaded grounds and then murdered a woman downtown last year? Mr. Ridenhour’s acerbic comment makes me wonder if he marched with THEM. I approached the left side lawn entrance to Cabell Hall where I was met with an arm-linked line of tie-dyed protestors. One of the “gentlemen” stated that they were blocking Cabell and the University was closed. I replied, “I’m going to go back to my apartment and get my baseball bat and we’ll see how closed you are!” They let me pass. I went to my class, I was the lone student. The lecturer, back of his hand on his brow, said, “this class is suspended because of the protests against this unjust war!” I replied, “You are an employee of the Commonwealth of Virginia. If you refuse to do your job, I will sue you, personally!” I sat alone for a week or so, listening to his anti-war screed, but gradually the class built up and we reached the end of the semester. I got a Gentleman’s C, which was okay with me. I saw the silliest events of my life transpiring during this false outrage. The men were taking advantage of a spineless University president and following a radicalized blowhard, Kunstler, like sheep follow any fool who walks in front of them. Knowledge and intellect, truth and justice were suspended. Forever changed my view of our great University. It wasn’t unique at all. Craig, thank you for your service. I never knew of nor witnessed anyone spitting on anyone in uniform nor calling them “baby killer” to their face; certainly no one I knew. Andrew and the late Rich Hafter were fraternity brothers and my closest friends and although we passionately opposed the war and were highly opinionated about it and other grave injustices of the time, we were all committed to nonviolence in word and deed. I actively discouraged the rock throwing and window breaking at Maury Hall. In substantive years, the end of the war and recognition of its futility, coeducation and racial diversity of the University all came to pass. It was a just cause. In my later life in law school and a career I had the privilege of meeting Vietnam veterans and counting them among my friends, the vast majority of whom did not think it was worth the sacrifice in blood and treasure. And with benefit of hindsight, I can appreciate President Shannon’s courage. Thanks for the memories. I and my friend and fraternity brother Rich Hafter were two of the thirty linked-armed students in front of Carr’s Hill—as anti-war as anyone else at the Kunstler/Rubin rally earlier that evening, but determined not to allow anyone’s righteous outrage translate into physical destruction of University landmarks. Good thing that all of us there had long hair and anti-war buttons and flashed those peace signs to the crowd—probably enhanced our credibility and helped keep the simmer from coming to a boil. The only breakage I was aware of was some rocks thrown through some windows at the Naval ROTC building—the mattress fire is news to me. We’re also two of the students in the photo of President Shannon getting a real-time introduction to reality at its most raucus. I wish Rich were still with us—he’d have enjoyed this time trip.